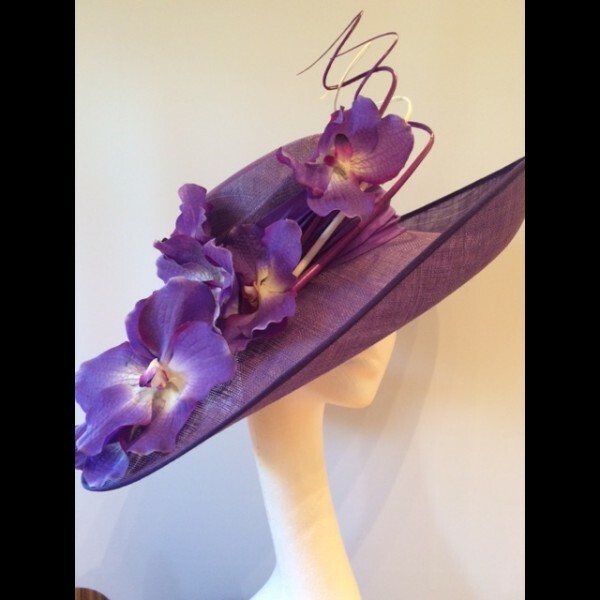 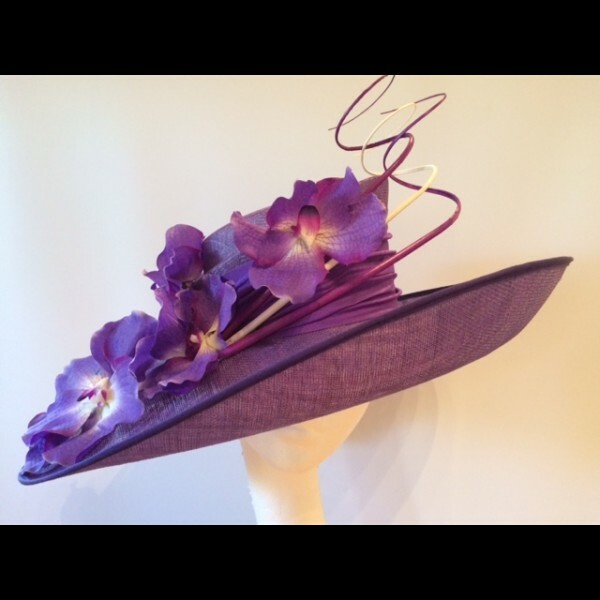 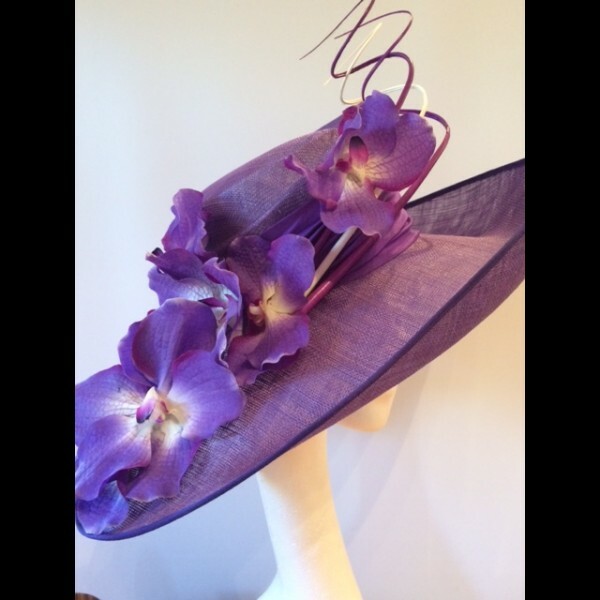 A deep Iris sinamay hat with a cuffed crown and a large east to west brim, upturned at the front and to one side.The brim measures 50cm from side to side and 46cm front to back. 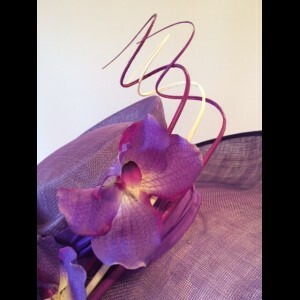 The crown is wrapped is toning ruched silk dupion. To the right side a cascade of stunning orchids.